Mark Strong is an agent with M.ATT.E.L. As we learn at the beginning in The Mark Strong Dossier, "Mark Strong is a Crimefighter (no idea why the last word was capitalized). He's the leading agent for an organization known as M.ATT.E.L., Missions Attached to Europe and London. M.ATT.E.L. is pledged to fight crime throughout the world. And in particular to smash the syndicate of criminals known as I.C.E. I.C.E. (International Crime Enterprises) is the world's leading organization for smuggling, forgery and larceny. Mark is internationally known as a racing driver, and this provides an ideal cover for his real work. He reports to H.Q., a converted toy shop somewhere in London. Behind the facade lies a complicated mechanical network of equipment. The kingpin of this is the Thinking Computer through which Mark receives his instructions, often in code." In addition to his exceptional abilities behind the steering wheel, Strong is a karate expert, a skin diver, an athlete, and a footballer, or so we are told in that dossier, as well as a creative and logical mind which he used to come up with the Unique Coding Device, the encryption tool used to pass his messages back and forth. He has lush brown hair and hazel eyes. Although his dossier states that he joined the bureau in 1972, in his first recorded adventure he recognizes a hoodlum driving another car and muses "the last time I saw that guy he was in prison" which indicates he likely has been around for a while. Also his familiarity with the headquarters and its procedures show experience likely needed more than just a few months. 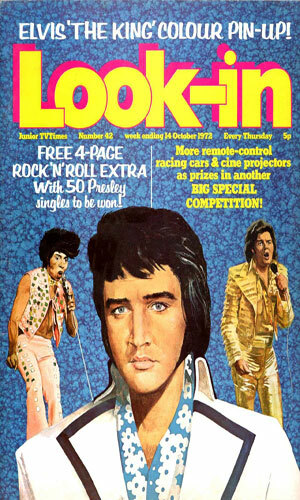 The British weekly entertainment magazine Look-In, geared towards the juvenile mark, ran from January 1972 until March 1994. It was devoted to entertainment in several ways. First it had a ton of articles about the various television and movie programs that might interest the teenage market. Second, it augmented those articles with enjoyable comic stories either tied in with those television and movie properties or original in nature. Third, there were puzzles and games galore. 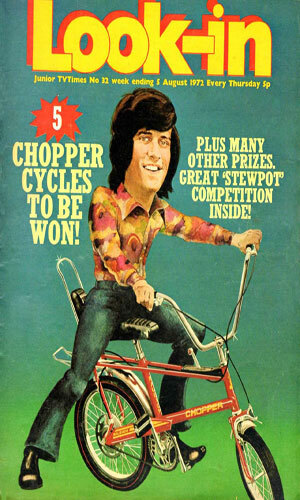 Each issue had just under 30 pages. Mark Strong was an action figure brought out by Mattel to compete with Hasbro's G.I.Joe. In the States he was known as Big Jim but for marketing reasons in England his name was changed to Mark Strong. The figure and the accessories were the same - the name on the packaging was different. To assist sales to the young market it was aiming at, Mattel either allowed or financed the creation of the comic book stories. In the middle of its second year of existance, the magazine, which often changed its content to stay fresh and interesting to the audience, added Mark Strong telling his tales 1 page per issue. These stories were not very long so each tale really consisted of less than a dozen pages each. I list the number of stories as 3 but you will find 4 entries below. Before the first story, there was a 4-page introduction to the world of Mark Strong. Found in Look-In Magazine, vol. 1 #31 - 4 pages A prequel of sorts telling the relevant information about the new character, Mark Strong. Found in Look-In Magazine, vol. 2 #32 through vol. 2 #41 - 10 pages - I.C.E. has been involved in several bullion heists and needs a way to smuggle the gold into England. They kidnap Italian racing-car manufacturer Carletti and force his attractive daughter to persuade Mark Strong to race for the Carletti team in the London Grand Prix, using that ruse to smuggle the gold in with the car. Found in Look-In Magazine, vol. 2 #42 through vol. 2 #50 - 9 pages - Mark Strong is sent as part of a research team investigating sightings of a prehistoric sea creature. He is attacked on the ship and when he awakens, all the scientists have been abducted. Found in Look-In Magazine, vol. 2 #51 through vol. 3 #5 - 7 pages - Sent by the Thinking Computer to join Medford United football team, Mark Strong is directed to find why the grounds keeper was murdered. I.C.E. is determined that Strong die before they head to Europe. The answer lies in the shoes! The whole purpose, of course, for the Mark Strong adventures was to sell the British version of Mattel's Big Jim action figure and all the various accessories. The tales showed him as a race car driver, a skin diver, and a footballer, which just happen to be some of the outfits available for purchase separately. For a marketing ploy, however, the stories were pretty interesting, well developed, and beautifully drawn. The whole Thinking Computer being the boss was a tad odd but beyond that the adventures were impressive. Obviously not impressive enough to survive more than three missions. According to a very informative write-up by Kim Stevens in the Look-In wiki, Mattel created Mark Strong because they could not sell Big Jim items in Europe initially but once they got the rights to do so, Strong was no longer needed. 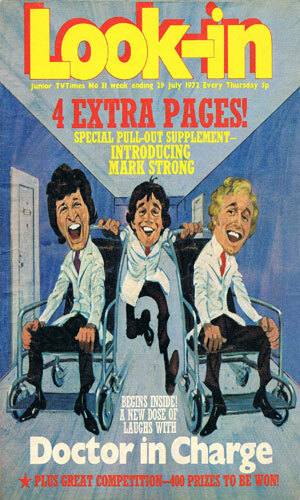 It was common for IPC magazines to have serialized stories in each issue but usually there were two pages in each issue but for Mark Strong, they gave but one page, perhaps to stretch out the number of issues they could put him in. Though he did not last very long in the British market, he did survive a tad long in Germany but even there when he left after nine issues, he left for good.